A refreshing bright zip of lemon with notes of green. COMMENTS: This Lemongrass EO truly smells wonderful - and holds the scent well in CP soaping. It's been a favorite for years! Customers seem to like it well! COMMENTS: CANT SAY ENOUGH ABOUT THIS!! MY FAVORITE EO. I USE IT FOR EVERY PRODUCT I MAKE. COMMENTS: I use this in some of my bath bombs. It is an essential addition to some of my formulas, deepening their scent mixtures. Scent holds well in the bath bombs. COMMENTS: I CAN'T SEEM TO KEEP MY HP LEMONGRASS SOAPS IN STOCK BC THEY GO SOOO FAST, WHICH IS A GOOD THING. THIS IS A MUST HAVE AND NO MATTER HOW MUCH I MAKE, I ALWAYS HAVE CUSTOMERS ON A WAITING LIST FOR THIS SCENT LOL. "Good fragrance that mixes well with others!" COMMENTS: I use this alone and blended with other fragrances, and am always pleased with the result. Produces a strong but pleasant scent in CP and HP soaps. This has been a regular for me and I am never disappointed! COMMENTS: This scent is so strong in our handmade soap that I sold out in 24 hours. Doubling production. It is my personal favorite scent. COMMENTS: I love the smell of lemongrass! And this was perfect for me. I even did a batch with it mixed with orange fragrance oil and sage fragrance oil. Talk about so relaxing! Had no problems with it! COMMENTS: This is a wonderful Lemongrass scent. It soaped wonderfully and it is a fan favorite. COMMENTS: Perfect lemongrass EO. Very popular. COMMENTS: Sticks and behaved fairly well in cp soap. I used another supplier in the past for my lemongrass EO and it caused my soap to rice and accelerate. Not this one. It behaved. The scent reminds me of lemon pledge furniture polish though. COMMENTS: I used this in a CP lemongrass basil soap - it performs really well. Highly recommend and will be ordering another bottle. COMMENTS: Wow what an amazing EO fragrance. Very very impressed. "Just what it should be!" COMMENTS: Really nice lemongrass for my shampoo bars! COMMENTS: Any my house smells great too! Fresh clean scent that customers have trouble naming but they all exclaim they love it. Mixed with tea tree oil, it creates on of my customer favorite soaps. COMMENTS: Customer favorite . Always keep in stock. I add lemon powder to the soap. "Long Lasting Scent on Cold Process Soap"
COMMENTS: Great on my cold process soaps. Long lasting scent. COMMENTS: Customers love this scent. It is one of my popular scents. • Richness of the scent. COMMENTS: This has been a perfect addition to our outdoor line. The scent is true and strong. COMMENTS: This is the perfect scent! I can't wait for my soap to cure so I can use it but, so far, it smells amazing. COMMENTS: Great quality and affordable price. 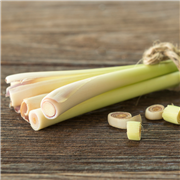 COMMENTS: This lemongrass truly holds its scent and customers seem to like it. A little bit goes a very long way so it is worth the price. I have used it in melt & pour, deodorant, bug off spray, and linen spray; all to good effect. I cannot think of anything negative to say about it - just don't use too much (which is a good thing). "Scent seems to stay strong in CP"
COMMENTS: Nice scent and I have been surprised how strong it stays thru the CP process. I used it in soap that has cured for a couple of weeks so far. COMMENTS: I have repeat customers coming back to purchase my Lemongrass Lotion and Soaps. I also use this product in my Pet Shampoo Bars. They are a hit with the Farmers Market customers in the summer! COMMENTS: This has to be my favorite essential oil of all time! I use it personally in my cleaning products and it works great in some of my other items as well. COMMENTS: I use this essential oil in most of my products, and I am very happy with the end results of them all. Products using this oil are my best selling items. COMMENTS: I used this lemongrass in a batch of hot process sea salt soap and it was amazing! COMMENTS: I love this essential oil. I behaves beautifully in my Cold Process soap and bath bombs. It fills my kitchen with the best scent! COMMENTS: Real fresh smelling scent. Another one of our top sellers. Little goes a long ways in cp soaps. Highly recommended. "Behaves fantastic in CP soap"
COMMENTS: Love working with this one. Scent is strong & lasts. Priced at a fragrance oil price which makes it even nicer. No discoloration or accelerating. COMMENTS: Very popular scent with my customers. COMMENTS: This is a great scent for a summer line, it smells fresh and pungent. Use it lightly as it can be a little overwhelming in large quantites. I used this scent to add to my male product line and so far many enjoy it. COMMENTS: this is by far one of my top most popular scents. Its versatile, and is appropriate for all products, and very unisex and clean! "A Basic In My Inventory"
COMMENTS: This lemongrass compares well to other brands. It holds well even at 6 weeks curing time & always sells out. I use it all the time on its own & in blends that need oomph.No noticeable acceleration or ricing either. COMMENTS: This is a customer favorite and the fragrance lasts. No problem with discoloration or acceleration. COMMENTS: The best essential oil. COMMENTS: Okay, out of all the natural EO this one is my favorite. My favorite soap using this oil. It is so versatile and a great scent for summer. COMMENTS: Used this in hemp cp soap, nice strong scent. COMMENTS: Love the fresh smell...my daughter insisted that I get it and I'm glad I did. COMMENTS: I love lemongrass and this one is great. "This scent was a hit w/ the entire family"
COMMENTS: I like the crisp lemony scent - my husband and daughter loved it in the body scrub and MP soap I made for them. I will buy this again! COMMENTS: Great scent. I use it in my HP soap so the scent stays strong for a long time. Always sells out! COMMENTS: A little of this goes a long way. The scent is amazing. It didn't accelerate in my cold process soap. COMMENTS: What a wonderful scent and refreshing too. Nice addition to my collection of oils. COMMENTS: I just love the smell of this lemongrass EO!! COMMENTS: Loved it. Great scent. Lemony fresh. COMMENTS: I'm very happy with the product. It doesn't have any chemical like smell like some other brands' EOs do, I think this is due to Crafters Choice having a better extraction process. 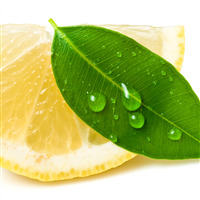 COMMENTS: I love, love, love this Lemongrass EO! I pair it with Patchouli and my customers go nuts over it! I also use it with Lavender and it compliments it so well. This EO soaps like a dream, no acceleration at all. I don't care for the scent out of the bottle but it smells sooo good in soap...especially paired with another EO. COMMENTS: Amazing scent. My hot process soap smells so fresh and bright. My customers love it. • Didn't need large amount . • Scent held up, no fading. COMMENTS: Great scent I love this for bath bombs and salt.The size was larger than I expected. COMMENTS: I love the aroma of lemongrass. I use this fresh scent alot. It is amazing! 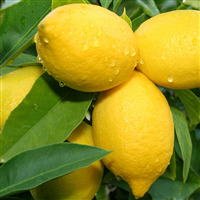 COMMENTS: Fabulous fresh lemony fragrance. Repeat requests for products in this scent. "Great fresh scent - Used in lots of products"
COMMENTS: I use this in a lot of products, both for sale & home use. It's such a fresh clean scent, bright & citrusy. It sticks well in my hot process soap. COMMENTS: I was hesitant using this in my cold process soap. I had been using lemongrass FO but had a request for lemongrass soap with EO. I was pleasantly surprised how well the scent stayed even after four weeks of curing time. My customer was happy with it also. COMMENTS: Just love the scent, Very Clean. COMMENTS: Smell is wonderfu and it is so versatile! I use this in almost all the citrus scented products I make. It has a subtle and unique scent, citrus with a little bit of earthiness. I love to blend it with peppermint and gardenia. The peppermint gives a refreshing touch and the gardenia adds a nice softness. Really pairs well with many different combinations. My daughter loves it mixed with the cotton candy scent when we make bath bombs. COMMENTS: Always a great seller and a great scent! LOVE! COMMENTS: a little goes a long way, This essential oil has staying power when used in cold process soap. "Very good but watch your temperatures"
COMMENTS: I liked working with this EO very much and lemongrass has to be one of my favorite scents. That being said, two batches I used it in overheated so I would advise soaping at lower temps when working with this EO. COMMENTS: this is my favorite EO ever! reminds me of a spa.. amazing. COMMENTS: My husband is in love with this lemongrass EO!, he wants me to put it in everything I make. COMMENTS: My best selling fragrance by far. I can put it in anything and it will sell. This behaves well in cp soap and allows for allot of design flexibility. COMMENTS: This worked perfectly for my cold process soap. The smell retains and it seemed to be a hit with everyone who I gave my soap to. COMMENTS: This is one of the best smelling EO in the inventory! Love this scent... works great! COMMENTS: Use this primarily in my Laundry Butter. Customers rave about the scent. I will continue to use this as the standard laundry butter scent in my line. COMMENTS: I love how strong this essential oil is. It makes my entire house smell fantastic whenever I use it. 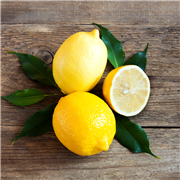 "Slice of lemony heaven "
COMMENTS: One of the best EO oils. Love the Crafter's Choice oils. "Accidentally ordered this, turns into a win"
COMMENTS: I clicked on this by accident and I wasn't sure what I should do. I mentioned to friends and found one that absolutely loves the scent. She bought half of my soaps! It smells great! COMMENTS: I absolutely love this refreshing oil. Long lasting scent in both hot process & bath salts! "Lemongrass Body Wash for Men "
COMMENTS: I purchased the ingredients separately because I wanted to make more quantity than what would be in the kit.Glad I did. This can be used for both men and women. The apricot powder is a very gentle exfoliant and the scent is very invigorating. I plan to use the lemongrass in a MP soap and add the luffa powder. "A must in your stash"
COMMENTS: You can't go wrong with this EO. Love the smell - will always keep in stock. COMMENTS: This scent is awesome. A little goes a long way with lemongrass. Everyone loves the bright citrus in this! COMMENTS: Hands down a customer favorite! Both men and women love this scent! COMMENTS: Used this in my green tea lemongrass cp soap... worked wonderful, did not trace too fast and is curing beautifully. Thanks! COMMENTS: Classically good every time always a popular scent for almost every product I use it in. "Always a Customers Favorite! " COMMENTS: I use a large amount of this oil and it is a favorite for many of my customers and it doesn't matter what base I use it always turns out great! I have mixed it with Eucalyptus and smells strong but the customer always knows best! So I am sticking with this combo! COMMENTS: Customers and I love it ! Fresh and clean! Will buy more. COMMENTS: I absolutely love this! It works well with my Thai lemongrass soap. COMMENTS: True lemongrass scent. Behaves well. Very traditional clean scent. Unlike non-folded citrus scents there is little fade during cure with lemongrass. COMMENTS: Excellent product! 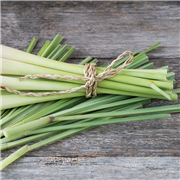 Easy to create new scents using this Lemongrass! COMMENTS: This is a staple scent in my soap line up. COMMENTS: My products with this Lemongrass EO sell very well. Crisp, clean and refreshing is how I would describe it. Pairs very well with Lavender EO. "Lemongrass SO is my favorite!!" COMMENTS: I use the lemongrass EO in my CP soap. It behaves wonderfully and the smell doesn't wear off over time. COMMENTS: Great Lemongrass essential oil. Sticks great in CP soap. COMMENTS: I bought a larger bottle of this as people really like the Lemongrass soap's. It is very nice to get in bulk for a great price. COMMENTS: We love this essential oil, its perfect for our soap! COMMENTS: I love this smell as it reminds me of the lemon drop candies I loved as a kid. I use it in CP soap and lotions and always get great feedback! COMMENTS: Fantastic smell that my customers love!! Only a small amount is needed for each batch of soap I make. COMMENTS: I'm not a big fan of citrus scents, but this is my customers' favorite scent so far. I will continue to purchase it! COMMENTS: I love this scent, and it's one of the most requested from my customers. Behaves well in CP soap. I always have this on hand. COMMENTS: I was very impressed with this EO. I wasn't sure what to expect as I had never smelled Lemongrass before but I love it. It has a very clean, crisp fresh scent to it. I make a loaf of soap with some poppy seeds in it and it smells like a lemon muffin. I love this scent. COMMENTS: Very popular and a customer favorite in my foaming face wash. A great morning pick me up!! COMMENTS: I loved the fragrance, and it behaved beautifully in my CP soaps. I am going to use it again and again! Wanda in Washington. • Nothing - it's great. COMMENTS: Smells wonderful. This is my favorite essential oil to use in everything i make. COMMENTS: This is definitely a wake up, and yet calming scents. My customers rave about how great there soaps smell! "lemongrass oil is the bomb!!!" COMMENTS: I use this regularly and can count on the quality and consistency. I like the zip it adds to my blends and the staying power of the scent. COMMENTS: I have bought this product numerous times and it is always top quality! COMMENTS: This is such an amazing smell. We use it in beard oil and beard balm and people just love the smell. We will continue to buy this lemongrass because of how it smells so good. COMMENTS: Very lively scent that is clear and worked very well in HP soap. COMMENTS: This is one of my favorite EO scents, as well as my customers. Their eyes light up when they smell it! So clean and refreshing. This is a staple and at a great price. COMMENTS: Amazing smelling lemongrass. Need I say more? Definitely high quality, as I have been dealing with essential oils for years and can tell, by smelling them, which ones are of lower and higher quality. Recommended. COMMENTS: This has a bit of a grassy undertone (hence the name) but we combine with litsea cubeba and it makes an AWESOME lemon salt (CP) bar. Colors the bar a light yellow. COMMENTS: This is a great scent for kitchen, smells so clean and is wonderful as a soap scent. I used mp aloe soap base and this EO added some poppy seeds and its great! COMMENTS: Very true scent. Didn't have any troubl with it in soap, shampoo or lotion. COMMENTS: My shipment arrived well packaged and everything was as described. This Lemongrass EO is one of my new favorites! It's such a fresh clean smell and blends well with other scents! I used it in my bath bombs and salts and will be trying it in CP soap soon. I would definitely purchase again! COMMENTS: at first I wasn't a big fan of this scent, but all my customers love it. fresh lemony scent with notes of grass. COMMENTS: This EO is a very bright and earthy fragrance. Exactly the scent I needed for my all natural Lemongrass soap and salts Set. I love it almost as much as my customers who bought me out at the first bazaar! Definitely recommend it to others, in fact I have another order in for it now. • Works great in HP soap. COMMENTS: I love lemongrass scented soap! A great price point and my order shipped fast! One of my better selling soaps. COMMENTS: I made cold process soap with this and it smelled great! I sold out of all of the soap that I made with this scent at my 1st craft fair. COMMENTS: This is a favorite for candles! People just love the fresh and clean scent. • I like that is pure.
" Lemongrass EO- Certified 100% Pure 138"
COMMENTS: This essential oil is so nice you dont need to use a lot. COMMENTS: I can't keep this in stock. The smell is a real lemony smell. I started using it in Cold process soap and then used it in lotion, body butter, and bath fizzies. I get requests for the lemongrass so I have to keep this in stock at all times. COMMENTS: I love the smell of this essential oil. Does not accelerate trace and the smell stays strong in my cold process soap and bath bombs. Definitely a staple in my collection. COMMENTS: Alone or mixed with a citrus, this is a customer favorite. COMMENTS: This is phenomenal! Love it for soaps and skincare! COMMENTS: This is a very clean Lemongrass. Both men and women love the clean scent. It dries nicely and fades with time. I will be doing a cold process soon. COMMENTS: This EO is used in many of my products. It has a very strong smell. I add a few drops of peppermint oil to help it to die down, both are great for hair and skin. COMMENTS: Great by itself and blends well with other essential oils. Love this essential oil. One of my most popular. COMMENTS: Very strong scent. Holds up great in CP. I like this blended with other EOs also. COMMENTS: Found this to be a TRUE scent, not perfumy at all. Love it on its own and in blends. Great unisex scent, as it is clean & fresh, but not overwhelming. Great value as compared to others I have purchased. COMMENTS: I use the Lemongrass E.O. in my Chakra M&P soaps and it adds just the right hint of lemon. It doesn't take much, as I learned on the first batch! COMMENTS: Your Lemongrass EO is one of the best I have ever purchased. COMMENTS: A very clean scent I put in my kitchen bar soap. It's strong and a little goes a long way. Last a long time in my soap. COMMENTS: One of my favorite scents - Clean, Tart yet Grassy. Loved it in my liquid soap - Really felt clean afterwards. COMMENTS: Nice, but seemed to fade a bit more than lemongrass EO that I've purchased from a competitor. COMMENTS: I bought one bottle of this, a 2 ounce I believe, and I used the entire thing in less than 3 weeks! It was my most popular selling scent! COMMENTS: One of the best lemongrass EOs I have used. True to the scent, fresh and not overpowering. I am pleased with this and will buy from this company from here on out! COMMENTS: Pure and clean-love it! COMMENTS: I was very happy with this item. It's a great value and the smell is top of the line!